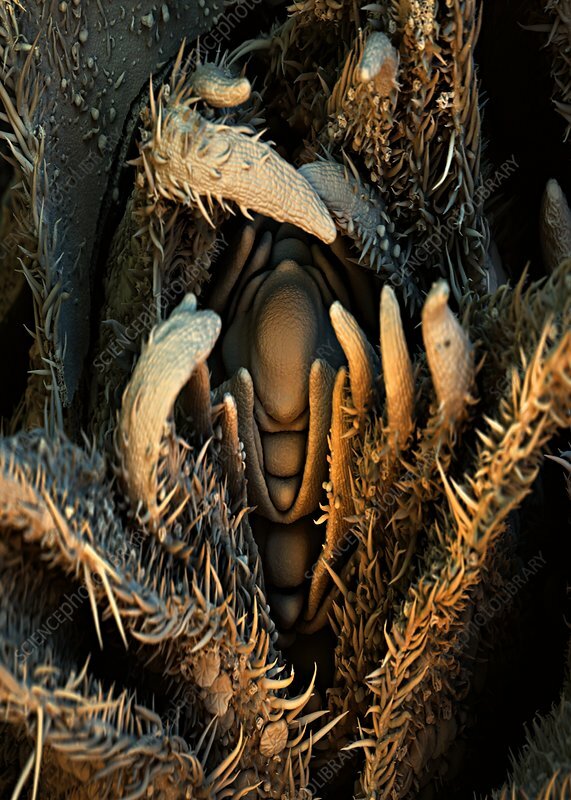 Hop (Humulus lupulus) flower, coloured scanning electron micrograph (SEM). This is one of the female flowers (seed cones or strobiles) of this plant, used to flavour beer. The plant surfaces include bristle-like structures called trichomes. These specialised structures may perform several functions, such as preventing water loss or deterring animals from eating the plant.